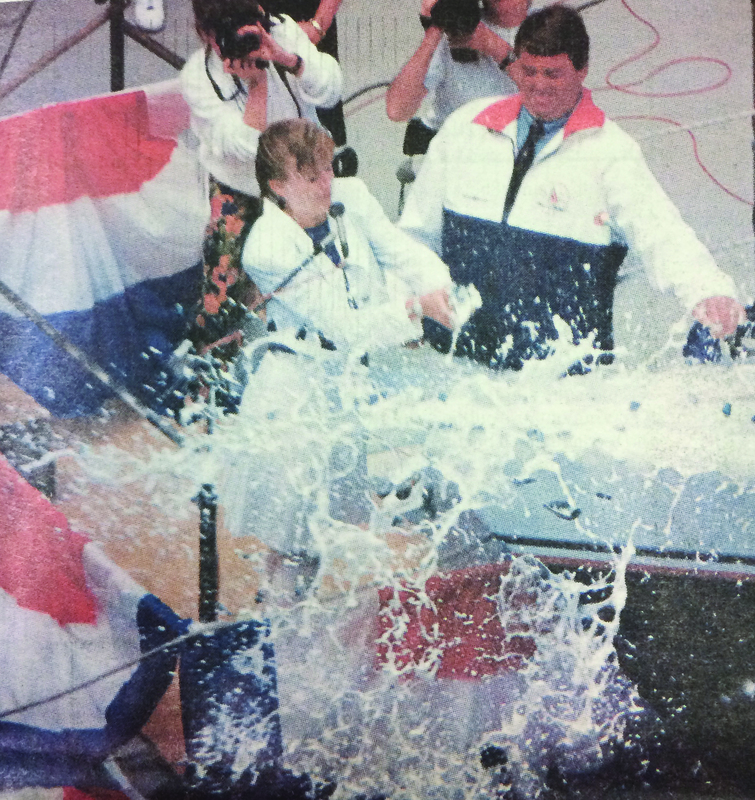 Dennis Conner’s first international America’s Cup Class yacht was christened before crowds of sailors in 1991. According to the April 19, 1991 article, the gala featured fireworks, air horns, banners, balloons and the U.S. Marine Corps Band. Conner’s daughter, Shanna, did the honor at the San Diego embarcadero. The $3 million boat was named Stars & Stripes.